Prox. Limestone cave Derbyshire, UK. . Collected by Martin Godfrey. 03 Jul 2009. © C.F.Carter (chris.carter@6cvw.freeuk.com). This is the type species (holotype) of the genus Synechococcus. Type locality: ad terram nudam in Helvetia leg. Naegeli (Silva 1996-to date). Roy, S., Debnath, M. & Ray, S. (2014). Cyanobacterial flora of the geothermal spring at Panifala, West Bengal, India. Phykos 44(1): 1-8. Accesses: This record has been accessed by users 5327 times since it was created. Burns, R.A., MacDonald, C.D., McGinn, P.J. & Campbell, D.A. (2005). Inorganic carbon repletion disrupts photosynthetic acclimation to low temperature in the cyanobacterium Synechococcus elongatus. Journal of Phycology 41: 322-334. Burns, R.A., MacKenzie, T.D.B. & Campbell, D.A. (2006). Inorganic carbon repletion constrains steady-state light acclimation in the cyanobacterium Synechococcus elongatus. Journal of Phycology 42: 610-621. Koblízek, M., Komenda, J., Masojídek, J. & Pechar, L. (2000). 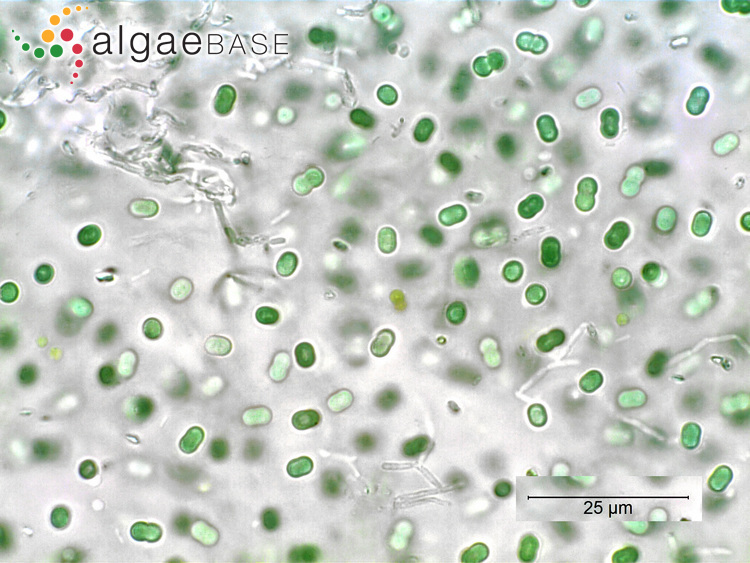 Cell aggregation of the cyanobacterium Synechococcus elongatus: role of the electron transport chain. Journal of Phycology 36: 662-668. Leach, J.E., Lee, K.W., Benson, R.L. & Martin, E.L. (1980). Note: Ultrastructure of the infection cycle of cyanophage SM-2 in Synechococcus elongatus (Cyanophyceae). Journal of Phycology 16: 307-310, 7 figs. Thornton, D.C.O. & Chen, J. (2017). 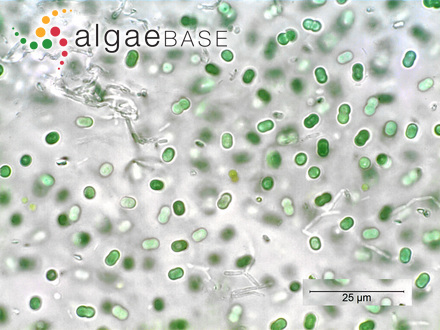 Exopolymer production as a function of cell permeability and death in a diatom (Thalassiosira weissflogii) and a cyanobacterium (Synechococcus elongatus). Journal of Phycology 53(2): 245-260.